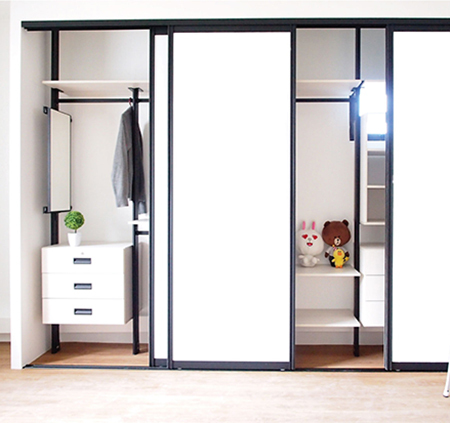 This versatile modular pole system wardrobe will keep your bedroom looking organised. It comprises a combination of fixtures, fittings and furniture to provide storage solutions tailored made to your space. Indicative pricing starts from $300 on a per foot run basis.